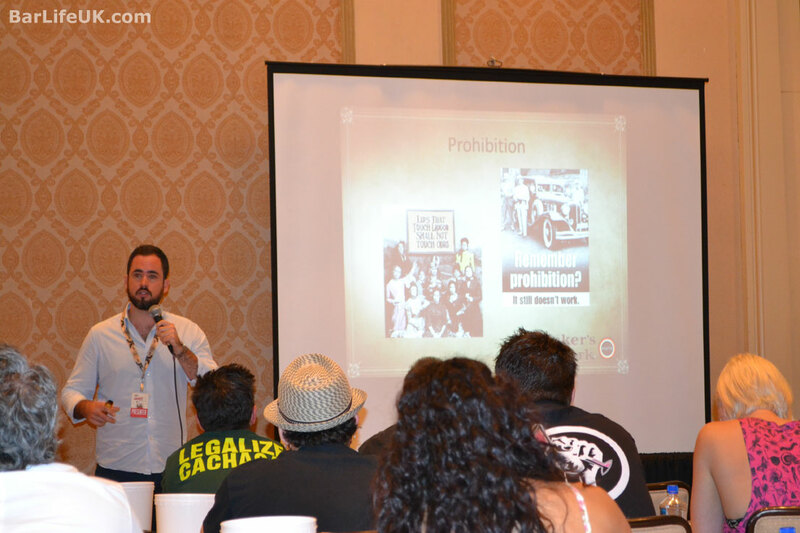 There are a lot of talks, tastings, seminars and events at Tales of the Cocktail, hundreds in fact. However on a foggy (that might have just been my head) Saturday morning BarLifeUK headed to the Persia To Ponies talk by the Australian Mixxit team. This was without a shadow of a doubt the funniest and most informative talk during the whole of Tales….. Okay, if I’m honest I didn’t get to all of the others… Actually I didn’t get to half of the others…. Alright, alright I went to only a couple of the others but I’m still right, the funniest and most informative. The talk was to look at the history of the Julep and as it transpired this meant the history of, well, the world. As a lot of you weren’t lucky enough to get to New Orleans this year we thought, being the decent folk that we are, we would bring a bit of it to you and so here is our condensed version of this session. Mr Jason Crawley started off proceedings by telling the assembled room (or at least the people in the assembled room) that the inspiration for this talk came when they read that the Julep was related to the Gulab, so ridiculous a notion to them that they set about to prove it wrong. On their journey of investigation not only did they find it to be true but found a fascinating story to go along with it. Jason then lead us on a rollercoaster history lesson with more swearing, booze references and digs at Americans than I can remember in school – perhaps I would have paid more attention if Jason had of been my teacher…. I doubt it, after all girls would still have had boobies. 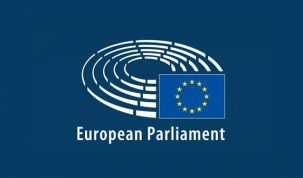 In actual fact the general American bashing continued throughout the session and on more than one occasion I had to look behind me to check no-one was walking out in disgust. To be fair the Americans in the crowd seemed to take it all with the fun that was intended as did the bartenders who also got a hammering. Anyway back to the Mr Crawley’s boozy history of the world. After the birth of civilization some time past until the Egyptians and Mesopotamian’s came into the fore about 3,000 – 2,000BC. These people were the first to really get into the whole beer side of things with the Egyptians brewing 17 different types of beer and the Mesopotamian’s brewing 20. There was a big difference between them however, the Egyptians looked down on being drunk as a bad and anti-social thing (much like the government these days) whereas to the Mesopotamian’s it was a status symbol as without the money to own the land to grow the ingredients you couldn’t afford to be drunk constantly, so they showed off by being drunk constantly (much like 17 year olds from Essex these days). Skip forward a few years (mainly because at this point I was enjoying a Milk Punch rather than writing) and we have Persia in around 550BC. 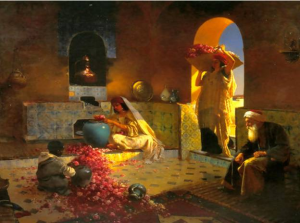 The Persians were famous for their gardens the designs of which can still be seen all across the world, it is was these gardens where they started to grow roses to make them look pretty. It was this excess of roses that led the clever Persians to invent Gulab or ‘Rose water’. During this period the Persians were having a right ding dong battle with the Romans which eventually led to both their demises when the Arab Muslim armies invaded both the weakened empires knocking them out. This in turn lead to the Crusades which we all learnt at school, well here’s the bit you didn’t learn. It was 1096 when they started and Richard the Lionheart was ready to kick off. You know Richard the Lionheart, the strong, brave, English hero who probably killed dragons and definitely swept maidens of their feet – right? Well not exactly. He was definitely strong and brave but the dragon thing is unlikely oh yeah and he was French, and gay and his boyfriend only had one eye!! See isn’t history more fun when you know the truth? The important bit of all of that was that he was French. You see when he was leading the crusades across the world he found out about this Gulab stuff and was a massive fan, so whilst spreading the good word of the Catholic Church (and the not so good word of mass murder) he was also spreading the good word of Gulab or being a Frenchy ‘Julep’. Jason continued his post watershed history lesson up until Europe decided to head over the sea to the promised land in 1607, at this point he handed over to Dylan Howarth. As Jason handed over the microphone a collective sigh of relief left the lips of the yanks in the crowd, a rest bite from the mocking…. they obviously hadn’t met Dylan before. After summing up the history of the United States of America in about 20 seconds including the immortal line ‘…then you had a quick chat with the indigenous people which went well…’ Dylan continued the story and I had another nervous look at the doors. Jamestown in 1607 was the setting for the start of the story and once again the story found itself in the area of proving your prosperity, in the US people shunned being perminately pissed instead choosing to grow rose bushes outside their houses as a sign that they could grow them in this foreign land. These roses grew alongside another mainstay of the frontier American homestead herbs, including, of course, mint. At this point I learnt two interesting things about mint which I probably should have already known but maybe you don’t either so here goes. Firstly the name Mint comes from Roman mythology when there was a lovely young nymph called Minthe who the ruler of the underworld Pluto had the hot’s for. Pluto’s missus Persephone wasn’t best pleased about this and turned Minthe into a lowly plant. Whilst Pluto couldn’t reserve the spell he could make it more bearable for her (and you, like me, may see this as a bit of a double edged good deed) by making her smell sweeter when she was trod on!! Secondly, I have heard mint be referred to as the hospitality herb on many an occasion but never known why. Well it’s down to some more mythology, this time Greek. There were a couple of gods called Zeus and Hermes who for a giggle decided to go down to earth disguised as humans to see how they were treated when not known as gods and find out if human hospitality was as good as it was cracked up to be. 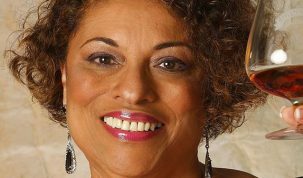 They wondered about for a bit with no luck until an old couple called Philemon and Baucis invited them into their home and before serving up food wiped the table with a bunch of mint. Hence the hospitality herb, although what they had for their dinner seems to have been forgotten. Finally up to the front was Jared Plummer who took the baton from Dylan and didn’t let up the pace one jot. As we all know the Mint Julep isn’t just about the mixing of the drink there is much more to the whole serve and Jared was about to prove that history was heavily involved in this also. The Julep is synonymous with the Pewter Cup in which is it served (although not in the Sazerac bar in New Orleans I was disappointed to discover that evening) and I found out to my delight that people that made Pewter Cups in the early days were called Pewtersmiths as in the Pewterschmidt’s in Family Guy. Anyway Pewter is mainly tin and in 1640 the US only had 5 Pewtersmiths who soon got even busier when England banned the import of Pewter to the colonies. As a result they started to have to re-use old Pewter to make newer pieces. This all changed at the end of the 18th century when Britannia Pewter (or Britannia metal) was designed to replace silver and became much more accessible. Around this time people were using Rye Grass straws in their drinks, it wasn’t until 1880 that a German fella invented the straw as we vaguely know it today and not until 1936 that the Flexi Straw was invented. 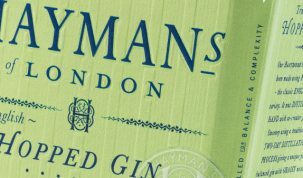 It was also at this time that the Mint Julep was beginning to be mentioned in print, however these early mentions didn’t specify a particular spirit and most were being made with gin which is the drink we now call the Major Bailey. The drink we know today as the Mint Julep was beginning to take shape. The Pewter Cup was becoming more available, straws were about to not taste and smell of Bison wee and most importantly America had really got the hang of making their own national spirit – Bourbon. Prohibition was going to go get its ugly mug in the way but shortly after this in 1938 the Mint Julep became the official drink of the Kentucky Derby which seems only right when you consider that since the 1890’s the Julep’s long lost relative the rose had been presented to each woman who attended the Derby. So there we are, full circle, the Golab to the Julep all wrapped up in the history of the world! It was a great session and thanks must go to Jason, Jared and Dylan and to Maker’s Mark who made it all possible by bringing the guys out. To celebrate here is their suggested recipe for the perfect Mint Julep and I can attest to it being a damn good one. 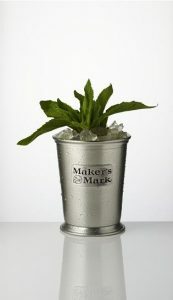 Method: Gently muddle sugar & mint in a julep cup then half fill cup with crushed ice and add 1 measure of Maker’s Mark® & stir. 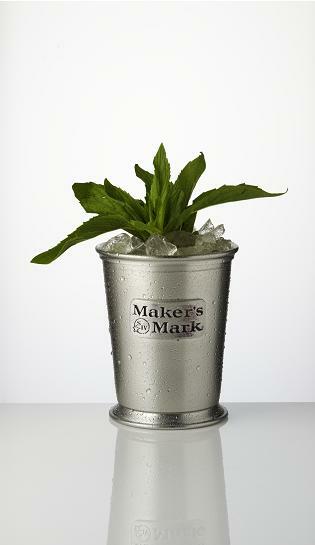 Fill julep cup with crushed ice add second measure of Maker’s Mark® & stir, then finish with crushed ice.